Town’s U18s will face Wingate & Finchley or Andover Town at home in the third round of the FA Youth Cup. The Blues opponents meet in their second round tie at Wingate & Finchley’s Harry Abrahams Stadium next Thursday evening. Wingate & Finchley play in the Bostik Premier League, while Andover's senior side are in the Sydenhams Football League (Wessex) Premier Division. The third round tie will be played at Portman Road on a date in December which will be confirmed once the opponents are known. 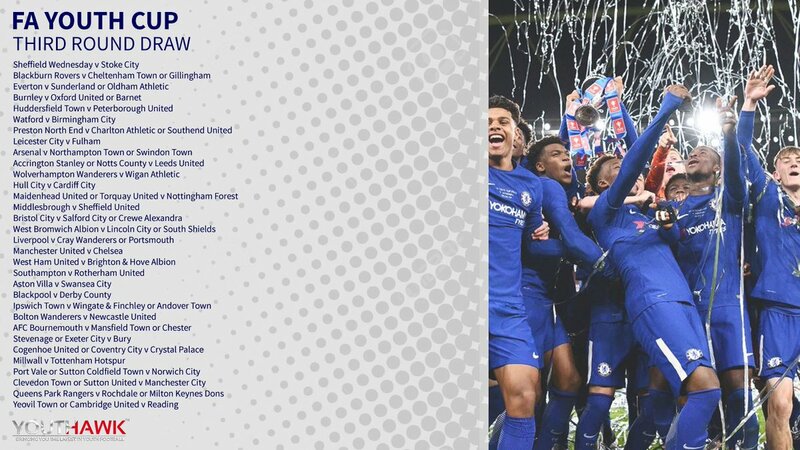 Last season the young Blues were beaten 2-0 at the fifth round stage at home by Blackpool having defeated Everton 2-1 in round three at Goodison Park and Dagenham & Redbridge at Portman Road, also 2-1, in the fourth round.